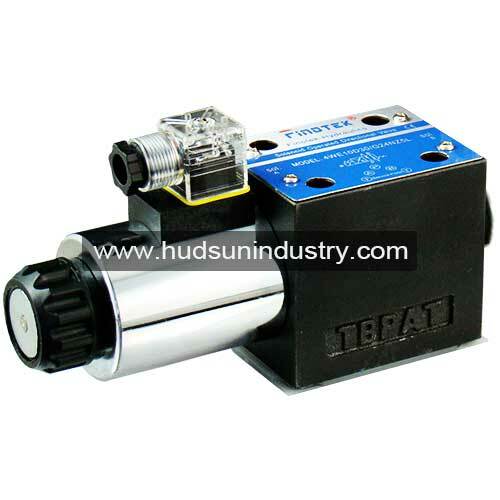 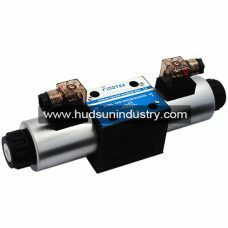 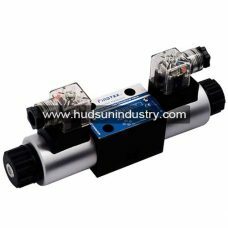 Solenoid operated directional valve, WE10, Cetop5 series with single solenoid operated, there are 4 oil porting with 10mm size and 2 spool switching position. 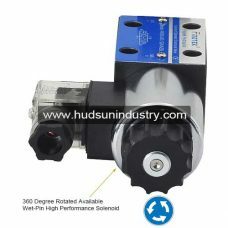 The single solenoid of solenoid operated directional valve is high performance for controlling the movement of cylinders most applied in hydraulic unit or system, and lower noise under high operation pressure. 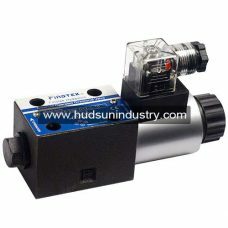 There is an override button attached in the solenoid for emergency work if power off suddenly. 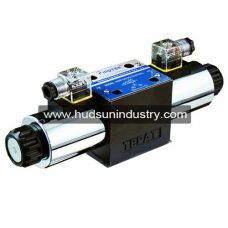 The mounting pattern of solenoid operated directional valve is standard comply with NFPA D03, DIN24 340, ISO 4401 and Cetop-RP 121H. 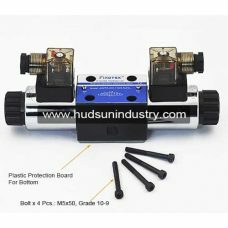 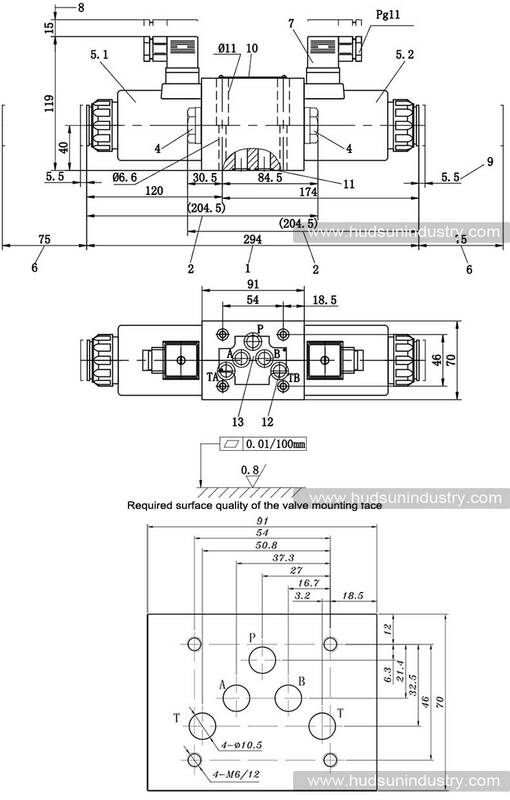 The solenoid operated directional valve is available to be installed in various of subplate and manifolds with standard valve pattern, for example, the available subplate is: G66/01, G67/01 or G534/01, the valve subplate is needed to be ordered separately, please contact us for inquiry.